Rising above the stereotypical cobbled back streets and smoking chimneys image that national TV seems insistent on using, Burnley is a town on the up. Think stunning countryside, state of the art leisure facilities and a unique food and drink scene coupled together with a top flight football team. It’s time to give Burnley a second thought. Burnley’s famous football team are back in the Premier League – “Up Where We Belong” in the words of the song – and that’s great for the town itself. 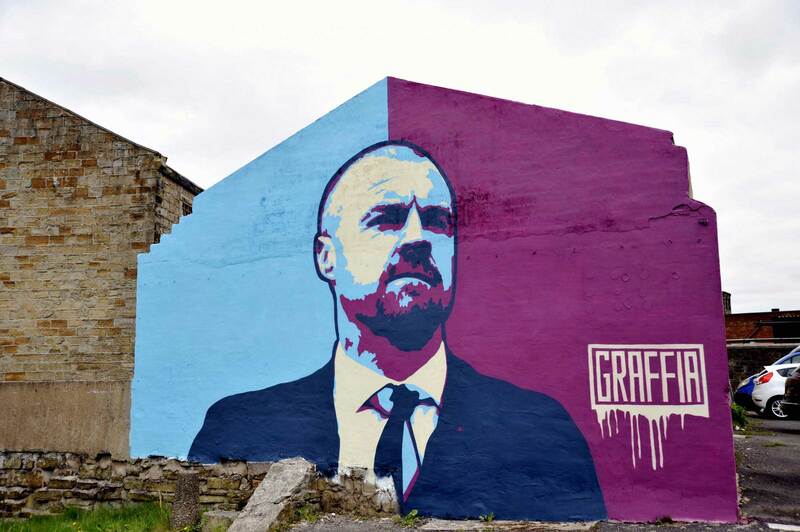 Brilliant murals of manager Sean Dyche and the club’s proud badge have been painted on prominent gable ends in the town, and social media postings are awash with the sign-off line “UTC” (meaning ‘Up The Clarets’) as Burnley people talk about their town with pride. Yet there’s much more to Burnley than a first class football club, as more visitors, businesses, students and investors are discovering. There is a ‘can do’ approach in Burnley and businesses are recognising the full package of support they receive when moving to the town. “People in the outside world have heard of Burnley. It’s on the map, and because we’re in Burnley we’re on the map, too,” says Scott Earing, coowner with Gavin Bamber of GB Integrated Systems, specialists in fire and security systems. 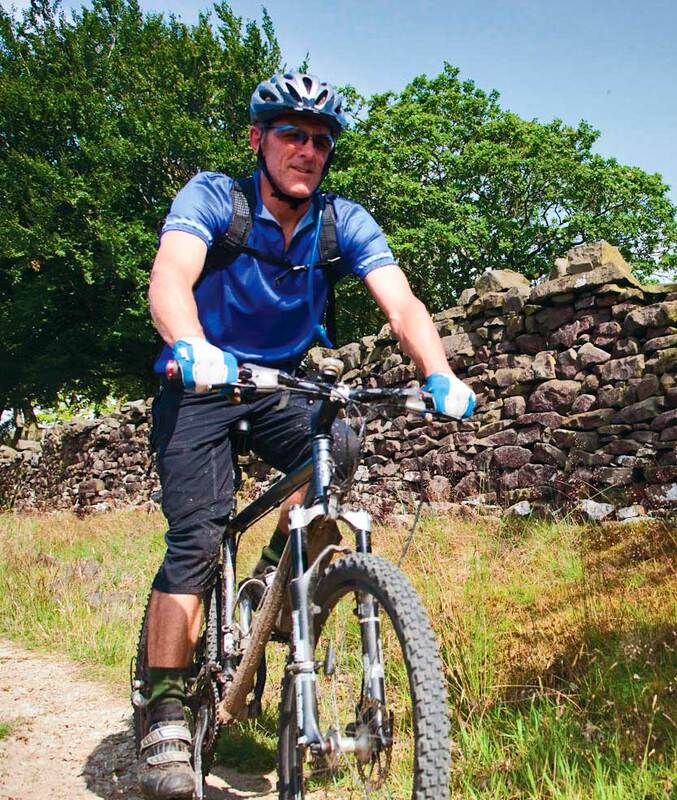 Burnley’s old reputation as a smoky mill town has all changed. The town is blazing a new business trail – with national statistics putting Burnley in the top ten for growth prospects, for private sector jobs growth, and economic think tanks identifying the area as a town set to thrive. 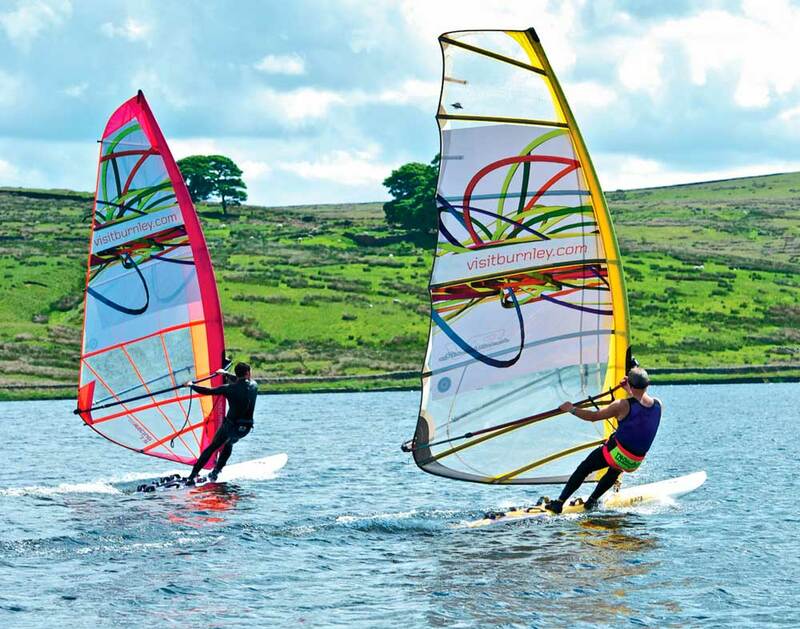 Burnley has invested over £800 million in business, retail, leisure and education infrastructure, and has been identified as an area where firms are driving economic growth. Burnley exports over £600 million of world class ‘Made in Burnley’ products each year to over 140 countries across the globe. Sound recording desks to the film and music industry, automotive and aerospace parts, homeware products, textiles, furniture, ales, specialist gins and much more. Burnley also boasts a great shopping and night-time offer, with the wonderful Burnley Mechanics Theatre operated by Burnley Leisure Trust offering a diverse calendar of shows throughout the year. Highlights for the forthcoming season includes bluesman Aynsley Lister, Ricky Cool and the In Crowd, Glenn Tilbrook of Squeeze, The Osmonds’ Christmas Extravaganza, Vienna Festival Ballet’s Snow White, Julia Donaldson’s Stick Man, Mary Shelley’s Frankenstein, Burnley Light Opera’s show White Christmas and tribute acts of Roy Orbison, The Bee Gees, Buddy Holly, Fleetwood Mac and The Eagles. 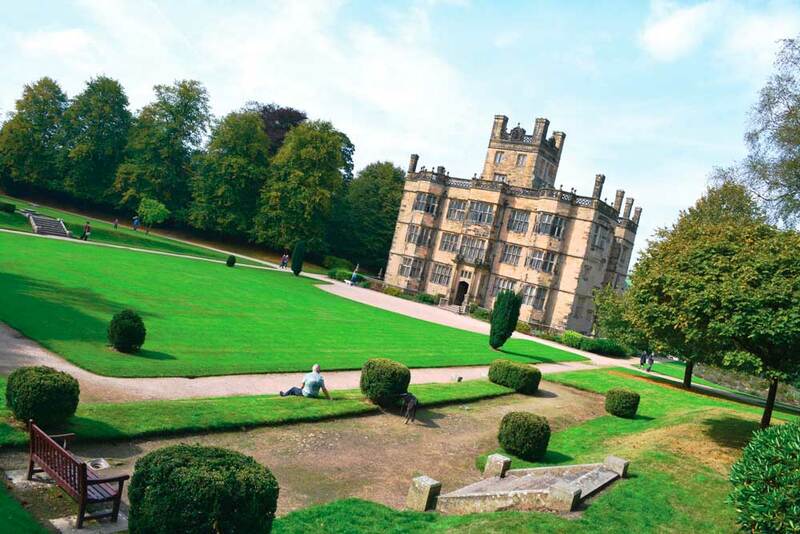 You can visit the historic stately homes of Towneley Hall and Gawthorpe Hall, explore stunning countryside on foot, bike, or on horseback. The Independent Royal Society of Arts (RSA) in collaboration with the Heritage Lottery Fund ranked Burnley an impressive 33rd out of 329 towns and cities across the UK for making the most of its heritage, museums, countryside, parks and leisure assets to grow its visitor numbers and visitor economy. 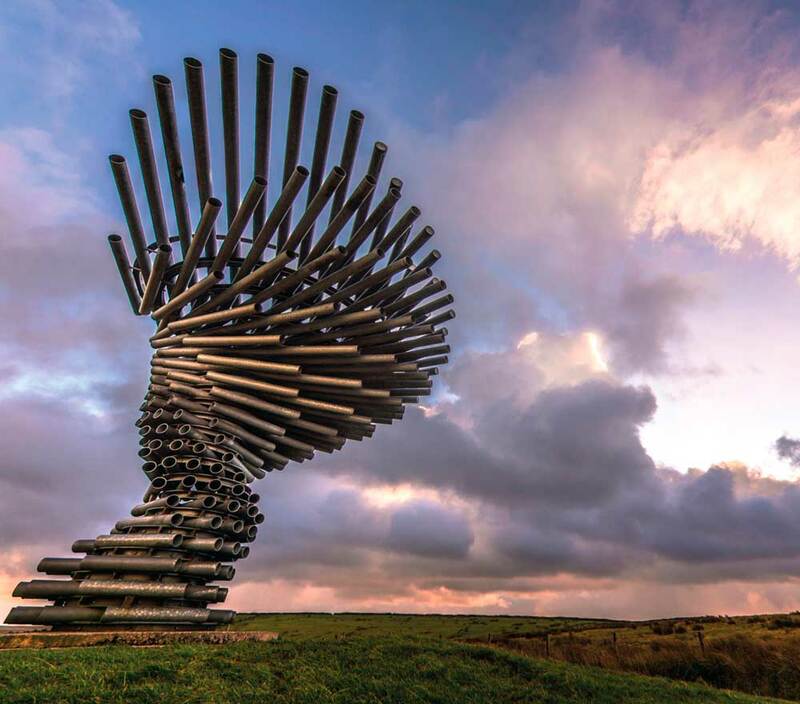 Burnley’s famous moorland landmark, the Singing Ringing Tree steel sculpture with tubes that turn the wind into musical notes, was ranked in the top British landmarks by The Independent and has attracted more than four million views on YouTube. Prairie Sports Village, off Colne Road, is proving so popular the driving range has already had over one million golf balls hit on the range since opening in October 2015. The facility hosts a 16 bay floodlit driving range with Power Tees, coaching and fitting facility, Simply Classic Bistro and Bar, FA Approved 3G football pitch with successful football leagues and excellent conferencing facilities. Golf lessons are provided onsite by PGA Golf Professionals. For shopping, Burnley Town Centre stands out from the crowd with an abundance of independent and specialist shops, many of them located around the Standish Street, Keirby Walk, and St James’s St West shopping areas, and all have their own unique offer, whether it’s handmade jewellery, gifts, vinyl records, boutique fashion, haute lingerie, hair salons, artwork, Chinese medicine and herbals. Just like the town, Burnley Market is on the up. 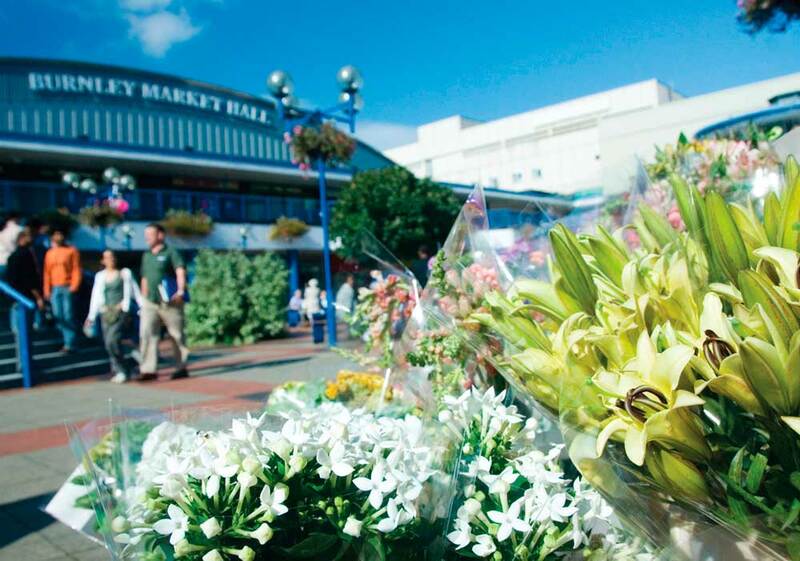 It’s the place to go for great quality local produce, beauty treatments, fashion, technology and an amazing variety of food. Enjoy the mix of cafes and takeaways selling food from the Caribbean, Thailand, Africa, China, the Philippines and of course, England. There’s also fresh fish, fresh fruit, award-winning meat and black puddings, a delicatessen and a cake shop. Big name brands are also investing in the town centre. A multi-million pound investment in Burnley’s Charter Walk Shopping Centre has seen Next open a new store four times bigger than its previous store in the town and River Island doubling the size of its shop floor. Drawing on the heritage of Burnley as a vital cog in the wheel of industrialisation, Burnley Canal Festival 2016 takes place on Sat 27 and Sunday 28 August 2016, making the scenic waterway a hub for communal expression and an escape from the hectic pace of modern life. Artists will join dancers, bands, boaters and residents in staging a ‘creative revolution’ two centuries after industry came to dominate the north of England, creating new artworks and performances along the banks of the Leeds and Liverpool Canal. 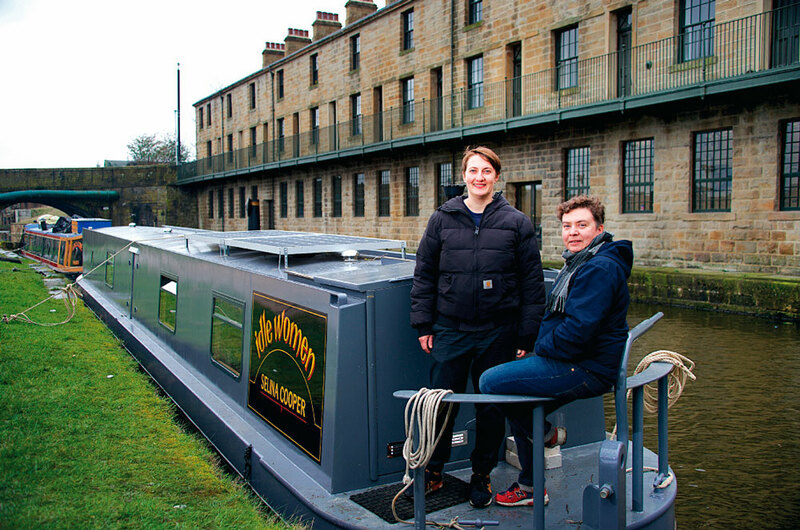 Completed in 1816, the route of the canal through Burnley has provided focus to life in all of its forms for 200 years, with chugging barges and abundant wildlife gently making use of the route since the last of Burnley’s mills closed in the 20th century. Festival commissioners, Super Slow Way, have called on artists, performers, residents and visitors to return once again to the canal side and indulge in a range of free experiences and activities taking place over two vibrant days. Starting at the newly regenerated and purpose built Sandygate Square – here you will find a contemporary, experience led expression, where families can discover slow culture across food, craft, making, art and performance. 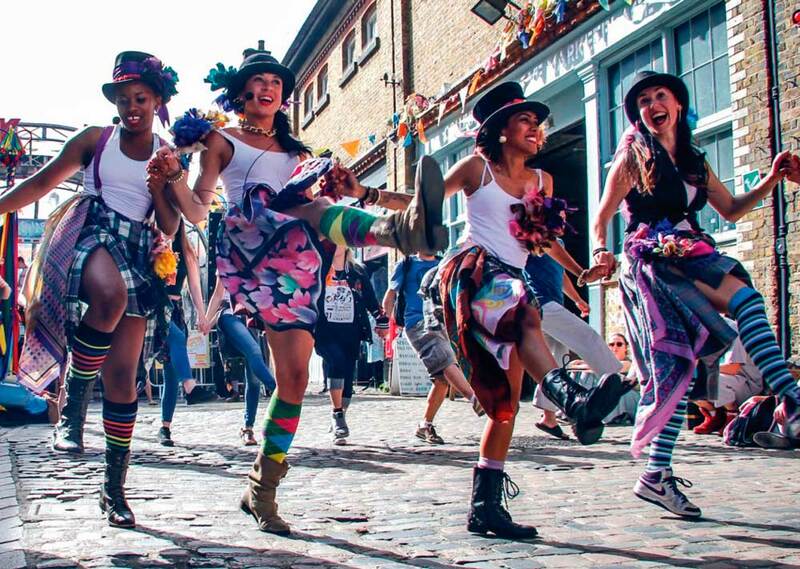 Highlights include ‘Lifeboat’ – the slowest ride on earth, join visiting performers, East London Dance Collective, Folk Dance Remixed, with a collision of dance styles including maypole, hip-hop and clogging. At the Inn of the Wharf see the flotilla of barges and, on dry land take in the sights and sounds of the fairground. Watch sideshows including Punch & Judy and climb aboard the dancing horses of the carousel. Here you will also find The Insect Circus Museum, housed in a vintage Bedford TK lorry, bringing with it a world-renowned range of artefacts that draws on three centuries of insect circus heritage, including stories of dancing snails, trained butterflies and wasp tamers. At Finsley Gate Wharf you’ll find the waterside nook, ‘Burnley Wood Beauty’ a special site of celebration where we can take pleasure in the beauty of the natural canal environment. 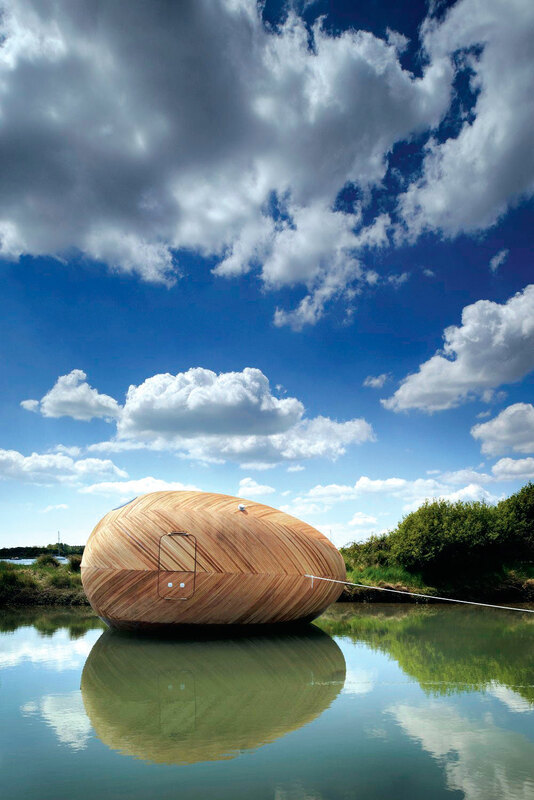 Having been ‘moored’ on the canal in the first stop of a national tour, here artist Stephen Turner will emerge from, and invite visitors into his studio, the Exbury Egg to discuss the creation of his remarkable, wood-built capsule and tell all about his stay on the canal, working in the heart of the Burnley Wood community and heritage. Burnley Wood Beauty is a space for creativity where flora and fauna comes to life through art and making workshops inspired by the land and the nature that resides within it. A series of artists installations will create bold visual statements that dress the canal and all three festival spaces. Inspired by Brightwork traditions and the locale, Artist Lucy Birbeck creates banners to guide you along the towpath; new gateway’s welcome you to the canal towpath; David Boultbee and Becky Atherton, Artists in Residence at Sandygate Square create interactive surprises and artworks. Taking to and speaking directly to the water, there will be the opportunity for intrepid visitors to jump into a canoe for a supervised paddle. Visitors can also join artist, Jeni McConnell as she leads Tell It To The Water, a workshop that asks people to write their hopes and reflections on the canal on soluble paper before committing them to the water forever, tied to rocks and stones. Barges and narrow boats, including the heritage short boat and visitor experience, Kennet and the floating arts centre, Idle Women, will pack the waterway throughout the weekend to remind visitors of the canal’s busy past and optimistic future. Take off the rose tinted glasses. Burnley is not on the up. I was born and raised there and recently emmigrated to Portugal. I regularly visit as my family are still there. I saw no sign during a 5 week stay of any economic upturn. 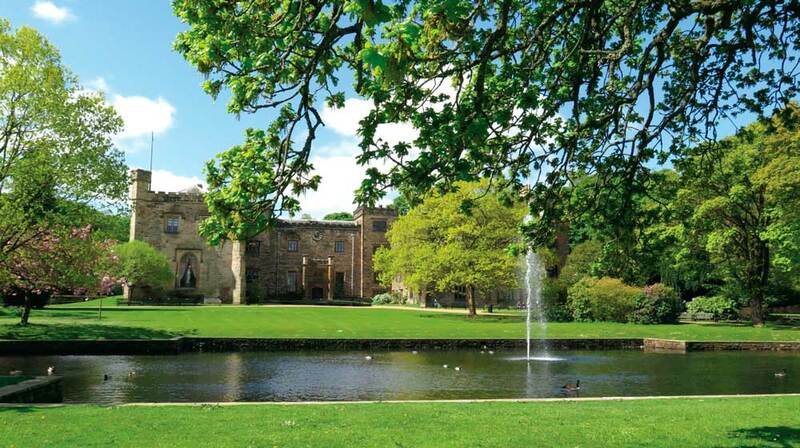 Yes Townley Hall is beautiful, yes our football team is Premier League, but the Market you wax lyrical about is shut down and every third person you pass looks drunk, high or mentally ill. This article is pure fiction. it says ‘e have a good market’ well maybe we would have if it hadn’t been shut down, no wonder people go out of town to other markets. rant over…..bet this doesn’t get published……. Why not pop up Harle Syke to Queen Street mill and take in the amazing steam engine called Peace and the working loom sheds and textile museum? It really is deserving of a World Heritage or Unesco Heritage site if those with enough influence could promote it. Be proud to support your local community. Be proud of Burnley! My uncle, Tom Cryer, was a tape sizer at Queen St from the day he left school until the day he retired. I’ll never forget the feeling of how much history it has when climbing the worn out wooden stairs to the top floor where stood the tools of his trade…. Shame it’s all passed into memory now…. Loved the noise and atmosphere in a mill..